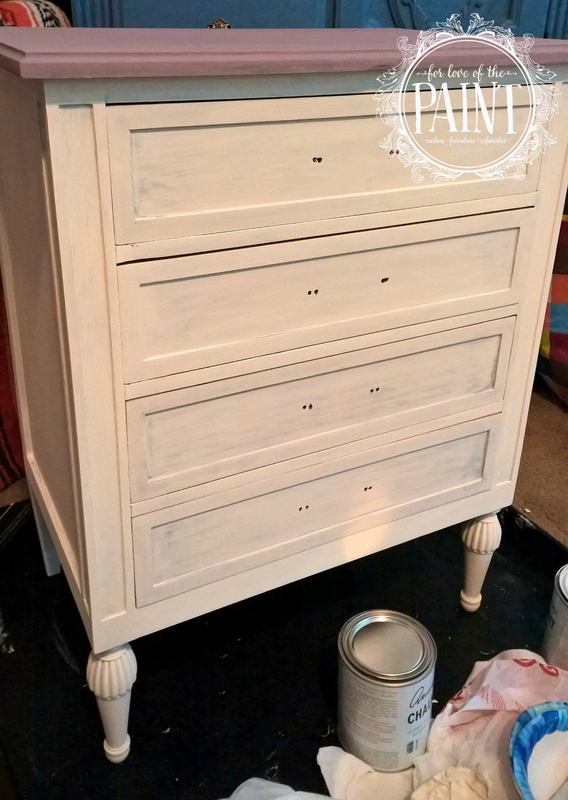 For Love of the Paint: Before and After : Antique French Chest of Drawers / Side Table refinish in Emile and Old White - with Tutorial! 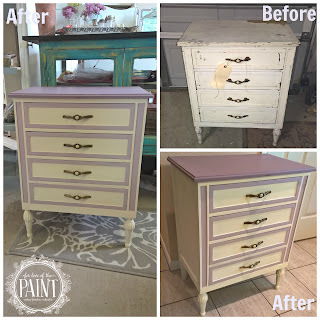 Before and After : Antique French Chest of Drawers / Side Table refinish in Emile and Old White - with Tutorial! 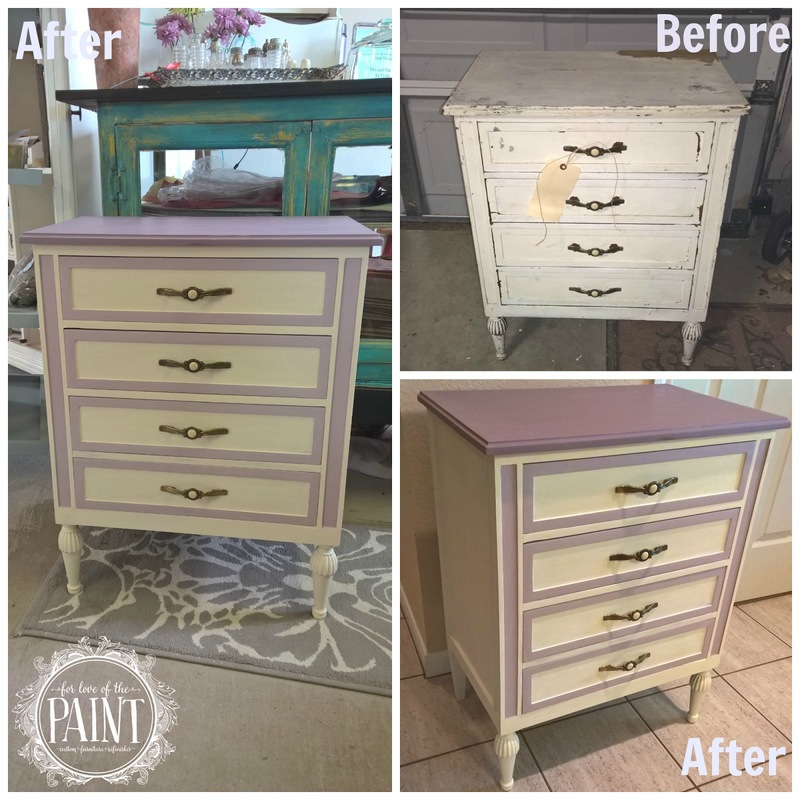 This beautiful antique French chest of drawers was a custom project for a client that has incorporated a few other For Love of the Paint refinishes into her decor, and it's always such an honor to be able to create something together as a collaboration! 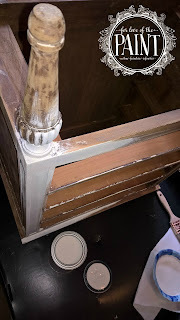 The piece was previously painted white, but we were not sure of the age/product used, and since it was chipping and peeling we decided to lead test then sand down the chest entirely to ensure adhesion and a smooth look. We selected Annie Sloan Chalk Paint in Old White, Emile for the top, and a 1:1 blend of Emile and Old White for the inset details and drawer trim. Here's the full Before and After! 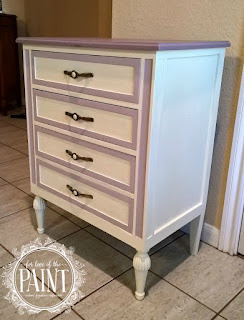 The sanding process took a long time, but it was worth it! We hand sanded the legs after this photo to make sure the gorgeous carved details were preserved. 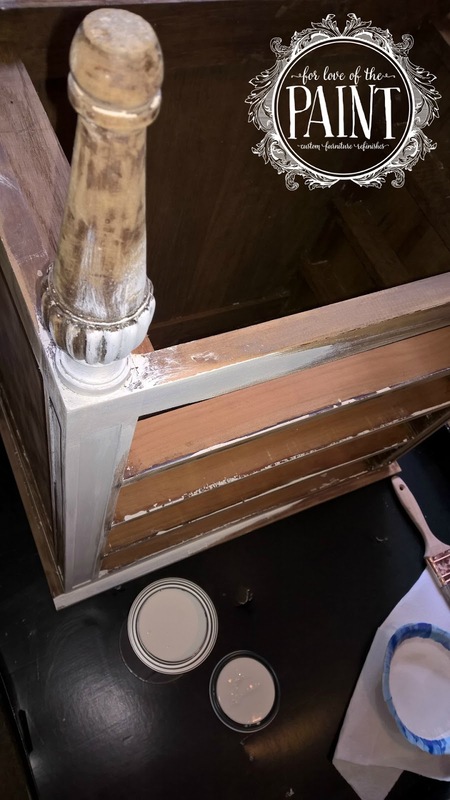 I flipped the table upside down for the first coat of paint! This is usually my strategy for the first coat to ensure I don't miss any spots that might be at a hidden angle. 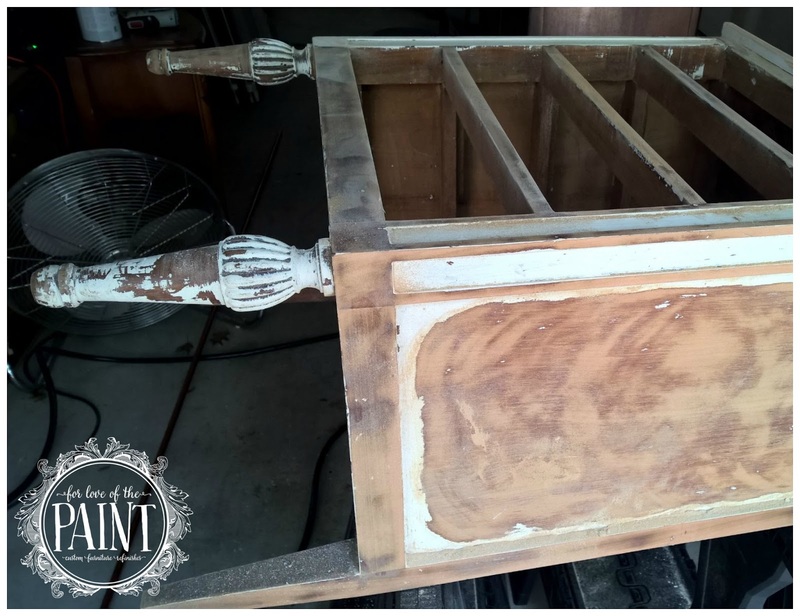 If the piece is too large to turn upside down entirely, I typically lay it on its back for the first coat. 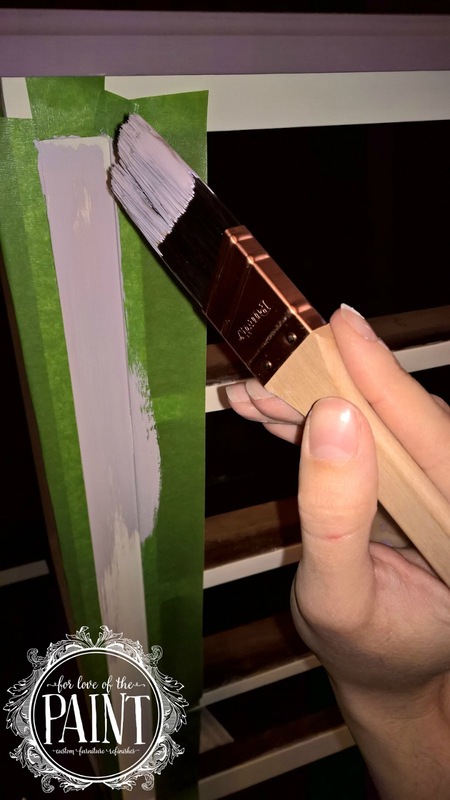 For the insets, we decided on a 1:1 ratio blend of Emile and Old White. I only needed a small amount for this project and do not have another use for this particular color in the near future, so I found a clean airtight kitchen container with a lid that was tucked away at the back of a cupboard and repurposed it to blend a small batch. 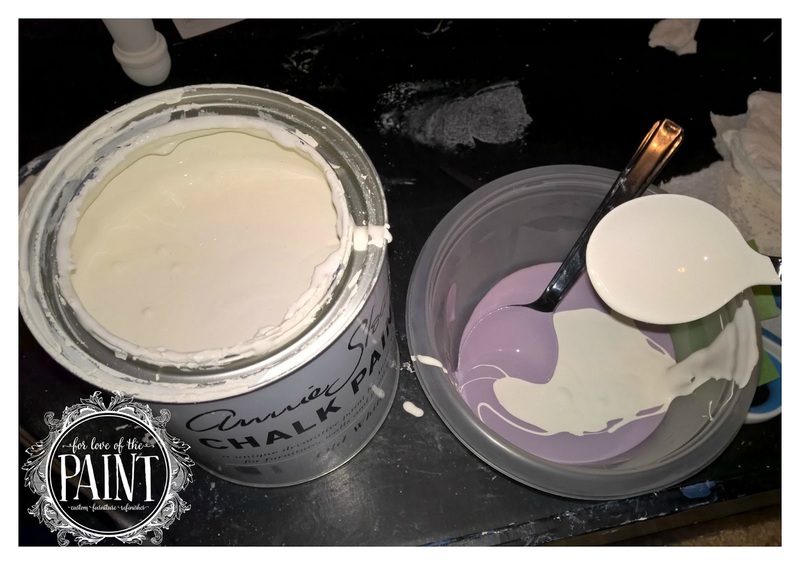 For a larger blend, I would mix in an empty paint tin from Home Depot or Lowe's! Here's a close up of the detail progress! 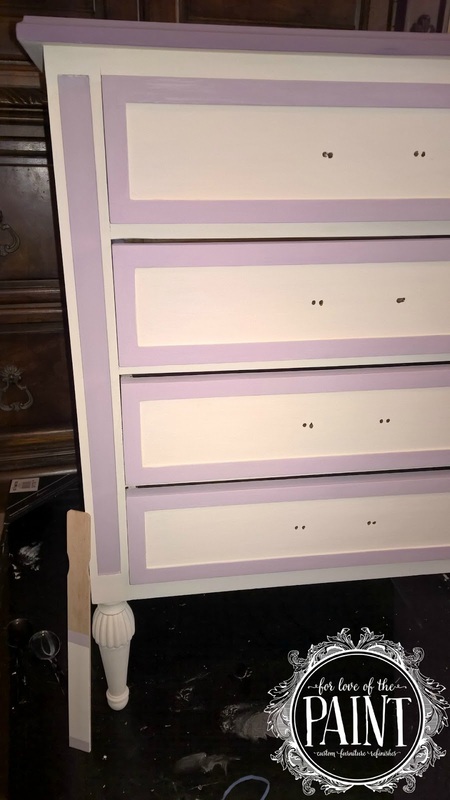 Don't worry, I made sure to paint all the way up to that top edge! 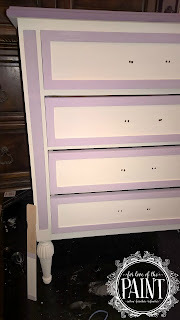 The client wasn't totally certain how she wanted the legs to be finished on this project, so I decided to show her a few options in a way that might help to better visualize them - I painted a stir stick in Old White and then put on bands of the Emile/Old White blend. After seeing the two together, we decided to stick with the clean look of the Old White since there was already so much beautiful detail and visual interest emerging! If anyone was curious, this was also the Project Pair with the French Provincial nightstand that went into my daughter's room! A very different look using a similar color scheme :). Check out that project tutorial here!